If you haven’t read Joe Friesen’s article on the late Daniel Wolfe and the Indian Posse featured in Saturday’s Globe and Mail, I’d highly recommend it. It’s carefully researched, and Friesen talks to the right people — including Wolff’s brother, Richard, one of the founders of the street gang — and the story come alive because of it. 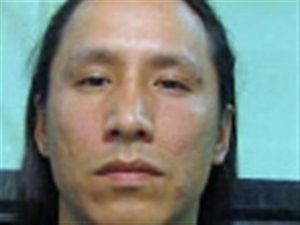 Not to mention the references to Wolfe’s letters from jail, where he spent a fair amount of time prior to being killed there last year after being handed five life sentences for a deadly home invasion in Saskatchewan. As always, the comments section is revealing, with Friesen taking flak from some who contend the ambitious article borders on the sentimental. Wolff was a stone-cold killer. There’s no doubt about it. But what Friesen shows is that there’s a kind of method to Wolfe’s madness, a steely pseudo-logic born from life on the street and not from the book. And that is likely reason number one why the IP and other similar gangs most likely won’t ever achieve the kind of “sophistication” (to use the oft-used policing term) that could see them rise out of the gutter. In a way, that the gang’s inability to pull itself up by the bootstraps is referred to as “puzzling” is puzzling in itself. It’s not hard to figure out. But police say one of the puzzling aspects of the IP has been its inability to develop the more sophisticated techniques of traditional organized crime. Richard, who left the gang years ago, is quiet when asked where all the money went. Is there a Swiss bank account? He chuckles. No discipline, no education, no plan. Just rep and cred. Hustle and be fierce. And that’s any street gang’s real problem. If it doesn’t make money, it doesn’t make sense. What I took this to mean is, if there’s nothing financial to be gained by shooting, maiming or intimidating someone, you generally — generally — don’t waste your time on it. It attracts much unwanted attention when people start getting hurt. To paraphrase D’Angelo Barksdale (or was it Bodie Broadus? ), characters from HBO’s The Wire: The police, loosely speaking, don’t care all that much if people buy drugs and get high. They really care when people start getting dead. Especially people not ‘in the game,’ as it were. Therein lies the paradox of the street gang. You have to hurt others to demonstrate your power but in doing so you ultimately show weakness.